With this upcoming move I've been staying away from CVS lately. Of course every time I go I swipe my card at the Magic Coupon Machine and walk away with feets of paper. 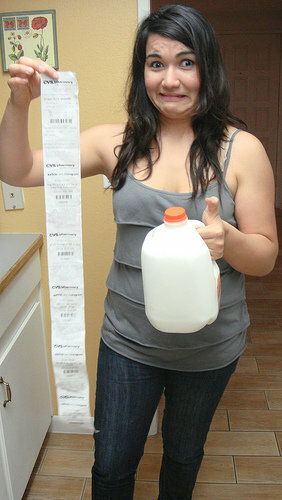 If you don't swipe your card CVS will still give you the coupons - they will just show up on your receipt instead. And so a Meme was born.